Some really good smooth riding on a slippery track. Thanks to all the families who brought food and presents, it made a really nice atmosphere to see 2008 out..
Special Thanks to the people who turn up just to marshall - Carl, Steve, Donald, Brian & Jonathan. Thousands of motorists are at risk of being fined up to £1,000 because they are unwittingly driving without a valid licence. They risk prosecution after failing to spot the extremely small print on their photocard licence which says it automatically expires after 10 years and has to be renewed - even though drivers are licensed to drive until the age of 70. The fiasco has come to light a decade after the first batch of photo licences was issued in July 1998, just as the they start to expire. Motoring organisations blamed the Government for the fiasco and said 'most' drivers believed their licences were for life. They said officials had failed to publicise sufficiently the fact that new-style licences - unlike the old paper ones - expire after a set period and have to be renewed. To rub salt into wounds, drivers will have to a pay £17.50 to renew their card - a charge which critics have condemned as a 'stealth tax' and which will earn the Treasury an estimated £437million over 25 years. Official DVLA figures reveal that while 16,136 expired this summer, so far only 11,566 drivers have renewed, leaving 4,570 outstanding. With another 300,000 photocard licences due to expire over the coming year, experts fear the number of invalid licences will soar, putting thousands more drivers in breach of the law and at risk of a fine. At the heart of the confusion is the small print on the tiny credit-card-size photo licence, which is used in conjunction with the paper version. Just below the driver name on the front of the photocard licence is a series of dates and details - each one numbered. Number 4b features a date in tiny writing, but no explicit explanation as to what it means. The date's significance is only explained if the driver turns over the card and reads the key on the back which states that '4b' means 'licence valid to'. Even more confusingly, an adjacent table on the rear of the card sets out how long the driver is registered to hold a licence - that is until his or her 70th birthday. A total of 25million new-style licences have been issued but - motoring experts say - drivers were never sufficiently warned they would expire after 10 years. Motorists who fail to renew their licences in time are allowed to continue driving. But the DVLA says they could be charged with 'failing to surrender their licence', an offence carrying a £1,000 fine. The AA called on the Government to use the annual £450million from traffic enforcement fines to offset the renewal charge. Before photocard licences were introduced, old-style paper licences were valid until the age of 70. Many motorists still believe this to be the case with the new ones. Today the DVLA said the date of expiry was carried on the new-style licences, even though the AA says this is 'not clear'. The Agency was unable to say whether motorists were told the licences would expire when they were first issued. It said it was issuing postal reminders to drivers whose photograph was due to expire, to get the renewal message across. 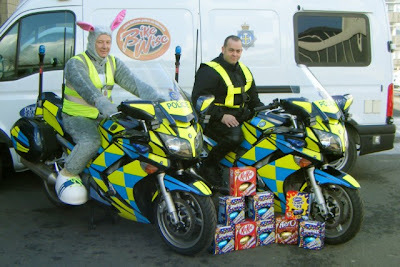 But a spokesman admitted this was the limit of the DVLA's publicity. Experts say many drivers will slip through the net because DVLA records are inaccurate and many motorists have changed address, making it impossible to trace them. The Driving Standards Agency is allowing L-test candidates with out-of-date photocard licences to sit their driving tests as long as they provide a valid passport. This concession will end in January next year, raising the prospect that some L-test candidates will be turned away. The DVLA said no one had so far been charged with failing to surrender a licence. 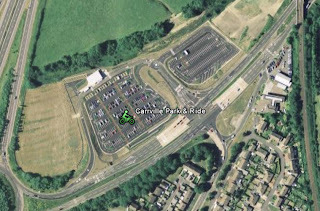 Many Thanks to all who turned up and supported our latest event at Carrville Park & Ride. What a fantastic day... The weather was great, riding was great.... Sorry to those who missed it because it was fantastic..
Special THANKS to all who helped with marshaling the event.. 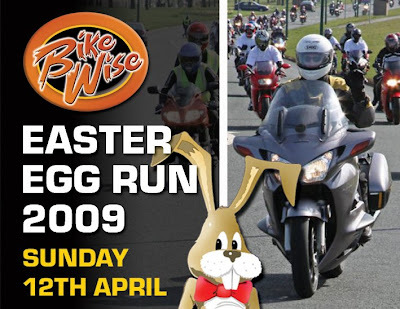 The BikeWise team can confirm that the Easter Egg Run for 2009 will take place on Sunday 12th April. The greatest road race festival in the world will roar back into life on May 30th, 2009! After the excitement of the 2008 Isle of Man TT celebrations, when fans were treated to some of the most competitive racing the event has ever seen, all eyes are now on TT2009. 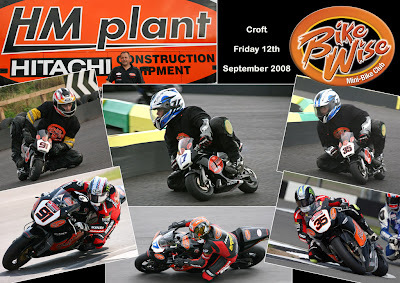 The HM Plant Honda team, who have supported BikeWise over the years, consists of four seasoned campaigners to include 14-times TT winner John McGuinness, six-times North West 200 winner Steve Plater and five-times Sidecar TT winner Nick Crowe, with passenger Mark Cox. 2009 marks Honda's 50th anniversary of participation in motorcycle racing - beginning with the 1959 Isle of Man TT races. Since then, globally, Honda has endeavoured to win in every racing category it has entered. With pure road-racing and the Isle of Man TT races being so close to heart, 2009 sees one of Honda's strongest ever rider line-ups for the road, as the marque attempts to celebrate its Golden Road-Racing Anniversary in style with yet more wins. John said, "It's a pleasure to continue my time withHM Plant Honda - one of the most respected teams in the road-race scene and also, to be back with some of the mechanics that I've had TT success with in the past. I know that with the team behind me and even further developments and improvements to both the Fireblade and CBR600RR we'll be in good shape for both these important events." John will take part in the Superbike, Supersport and Superstock races at the Isle of Man and Superbike and Supersport classes at the North West. Joining John is Steve Plater, a regular winner of the North West 200, but a relative newcomer to the Isle of Man TT races. 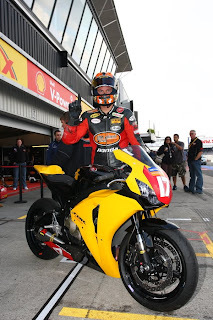 Despite only beginning his TT career in 2007, where he became the fastest newcomer of all-time, Steve scooped a Supersport win in 2008. "For me in 2009, the North West 200 and Isle of Man TT races are so close to my heart and a massive part of my season," said Steve. "I've won a few races at the North West, but I'm still hungry for more. I took three wins from four races there this year, but I wanted a clean sweep - that's now the aim for 2009. 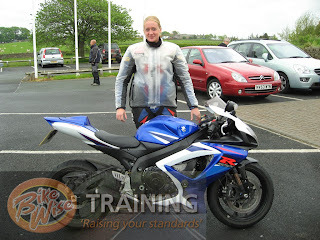 At the TT, to be the fastest newcomer ever was a dream, but that meant I didn't know if I should go back - as how do you beat a year like that? I have decided to finish my 'three-year apprenticeship' of the Island though and this year I took the Supersport win, and in doing so took five seconds out of John on the Mountain. You don't do that lightly, so I'm also looking forward to the TT with HM Plant Honda." Like John, Steve will also take part in the Superbike, Supersport and Superstock races at the Isle of Man and Superbike and Supersport classes at the NW200. Competing in the sidecar event at the TT for HM PlantHonda are Nick Crowe and passenger Mark Cox. 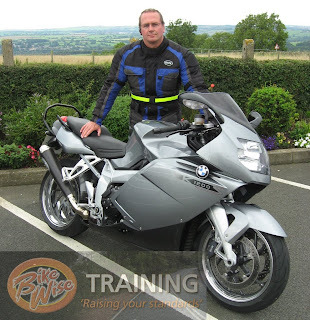 Nick originally began his TT career as a passenger in 1995, before his first race as driver in 2002. He has five TT wins to his credit. 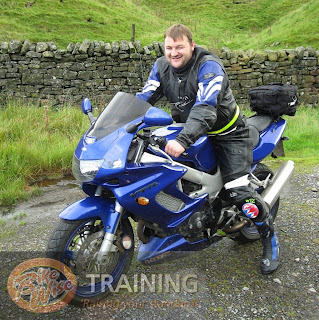 Mark started his riding career as a solo rider, but when he got the chance of standing in for an injured sidecar racer he's never looked back. Mark has experienced success at World Championship and F2 Championship level. Nick said, "To be associated with the HM Plant Honda team is an honour! I've got five TT wins and missed out in 2007 due to problems, but we learnt from our mistakes and came back this year to win both races. We'll both be aiming to do the same in 2009!" Mark added, "We did the double at the TT in 2008 after a disappointing 2007, so we've learned from that and want another double with HM Plant Honda in '09!" HM Plant Honda Team Manager, Havier Beltran, said, "We've got an incredibly strong line-up for the roads in 2009 - a very important year for Honda - celebrating its 50th anniversary of road-racing, which began with Honda's first assault on the Isle of Man TT races. John is still the man to beat around the 37.73-mile Mountain circuit, while Steve has proved to be one of the most remarkable newcomers of recent years, surprising many TT regulars with his speed around the course and taking a Supersport win last year. Both riders also have enviable reputations around the legendary North West 200 course, with Steve and John taking wins around the nine-mile 'Triangle' circuit. Nick and Mark have shown their speed by taking two wins this year and we'll be backing them 100% so they can do the same in 2009. 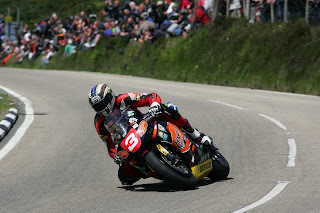 We're also very happy to be continuing our road-racing relationship with Dunlop for 2009." Celebration activities at the 2009 TT event to mark Honda's 50th anniversary of racing are currently in planning and will be announced in the near future. Coleraine and District Motor Club officials have confirmed that the 2009 International North West 200 will take place on Saturday 16th May with Race Week festivities commencing on Saturday 9th May. The date had been pencilled in on the motorbike racing calendar for several weeks and was officially verified at the M.C.U.I. (U.C.) AGM held on Saturday past (8th November). Said NW200 Clerk of Course Mervyn Whyte MBE, "Whilst planning is already underway for next year's 80th anniversary event, I'm delighted that our provisional date has now been rubber stamped and we can really go to town on promoting our Race Week and Race Day programmes at a global level. "May 16th is a perfect date and will suit all UK and Ireland competitors giving teams ample time to prepare for the North West, with BSB's Oulton Park taking place on Bank Holiday Monday - 4th May and post North West 200, BSB's Donnington Park Race not happening until Whit Bank Holiday, Monday 25th May 2009." The Coleraine Club's organising committee have already met with Coleraine Council officials to put in place an exciting week of activities and events to help celebrate the North West 200's 80th birthday and the event's official launch will take place on 8th January 2009 at the Belfast Waterfront Hall. BikeWise has won the Highways Magazine Excellence Award for 2008 in the category of Road Safety Scheme of the year. 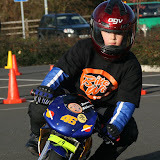 This encompasses BikeWise Mini Bike Club, BikeWise Training as well as BikeWise show. 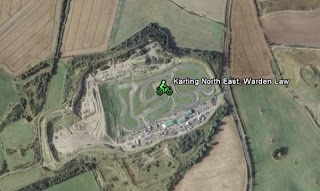 PPIK the indoor karting venue is running on Sunday 30th November at 1800hrs - 2200hrs. We have enquiries ongoing about getting back into Black & Deckers ..... so watch this space as we may yet be indoors. The proposed lighting has not yet been installed and Mick has rang the management and discussed the matter and we have been informed that it is not viable to complete the work at the moment. They have therefore decided not to run the sessions over the winter months. We will advise as soon as we get a start date for the new season. 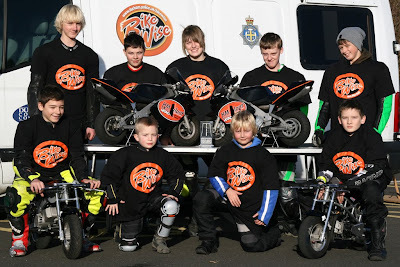 This encompasses BikeWise Mini-Bike Club, BikeWise Training as well as BikeWise show. 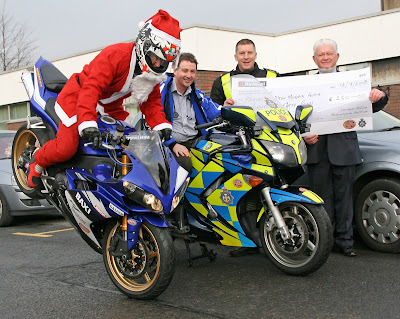 The BikeWise event this year proved to be huge success and that success has allowed us to give away a record breaking 10,500 pounds this year to a whole range of causes. Recipients include the Great North Air Ambulance who will be presented a cheque for 2000 pounds by ex PC Piers Lawrence. Piers was a matter of days from retirement when he was struck by a car when assisting at the scene of a traffic accident. His injuries were serious and he was rushed by the Air Ambulance to hospital, there is no doubt it played a significant part in his recovery. St Cuthbert's hospice in Durham City have been given 1300 pounds to assist with fitting out their new coffee shop for the benefit patients and visitors. Medical charities associated with diseases such as Meningitis, Cancer and Cystic Fibrosis will receive over 2500 pounds in donations. Other beneficiaries include amongst others Durham Advanced Motorcyclists, Teesdale and Weardale Search and Mountain Rescue Team, BikeWise mini bike club and three local children touched by serious illness. In addition the first responders scheme in Weardale will be given 500 pounds which seemed fitting given that so many bikers pass through the Dale. It's never easy deciding what causes should benefit however as you can see many are local. We haven't allocated every last penny which means that we are still able to support local causes that crop up over the course of the year, particularly those associated with bikers. So if you are involved or know somebody or a group that are in need of support please give us a shout and we'll see what we can do. They appreciate that the dark nights are coming in and are in the process of arranging additional lighting on the mini-bike track - so, PLEASE be patient for a short time and we will have access all year round. 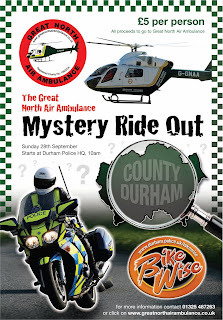 Thanks to all who took part in the Great North Air Ambulance Mystery Ride out on Sunday from Police HQ. Two hundred bikes took part and the weather (for once this year) was sunny.. THe ride took participants up to the Durham Dales and back to Headquarters where the air ambulance was waiting for people to look around. The main event poster which had been signed by top riders from the Hanspree Ten Kate Honda WSB team was raffled off and in total approx £1500 was raised on the day for the air ambulance. 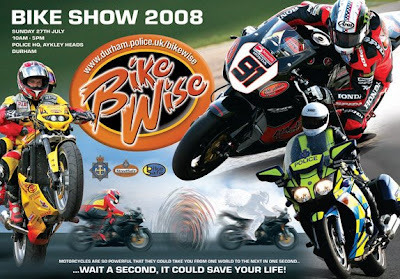 Steve has been a supporter of BikeWise for a couple of years and has been to Police HQ with HM Plant Honda for BikeWise 2007 & 2008 where he met many of you..
BikeWise Training competition winner Andrew Bradford - who was one of the three winners of our online competition prior to BikeWise 2008. Congratulations from all at the BikeWise Mini-Bike Club to HM Plant Honda's Steve Brogan for winning the Metzeler National Superstock 1000 Championship, despite suffering from the two broken bones in his right foot due to a crash at Croft. Many Thanks to all who turned up and supported our latest event at the Police HQ last weekend. Special THANKS to all who helped with marshaling the event.. With Mick being on holiday and me being involved with the Air Ambulance / BikeWise Training event, your help was really appreciated. Many Thanks to HM Plant Honda Racing for inviting us down to Croft on a very busy BSB weekend. John & Kath Jones (HM Plant), Harvey Beltran (Race Team Manager) & riders Leon Haslam, Cal Crutchlow & Steve Brogan (and also John McGuinnesss) provided a once in a lifetime opportunity for us to meet and see what racing is all about. 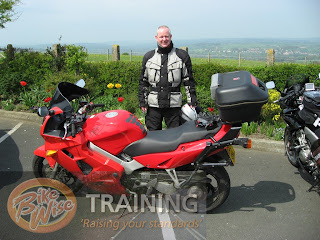 BikeWise Training competition winner Allen Aldworth - who was one of the three winners of our online competition prior to BikeWise 2008. Hi everybody. We are going to have to cancel the meeting at Carrville tomorrow.... The weather forecast is for more rain. Apologies but there is always Monday night at Warden Law & the forecast at the moment is a little better for then. 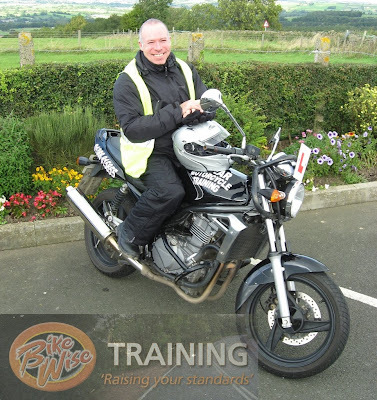 BikeWise Training competition winner Malcolm Cutter - who was one of the three winners of our online competition prior to BikeWise 2008.